WTF IS SERIOUSLY WRONG WITH PEOPLE. A FRICKEN YEAR OLD AND LOOK AT HIM. Its only been THREE DAYS since his family betrayed him and now the shelter wants to kill him because he "avoids interaction" and attempts to flee and panic. NOT RESEREVED HE WILL BE KILLED SHORTLY at Carson Shelter. #A5225269 My name is COBY and I'm an approximately 1 year old male Terrier. I am not yet neutered. 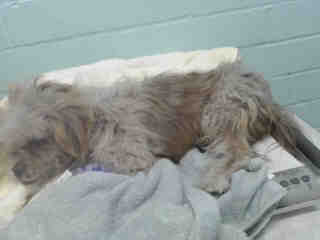 I have been at the Carson Animal Care Center since 10/4. I will be available on 10/4. You can visit me at my temporary home at CRECEIVING. 5 Responses to "1 year old Coby that nobody want, hopeless as he is formally placed on death row"
COBY came in looking terrible and we will update once we get the medical info. Please SHARE, he needs help NOW!!. Thanks! Check out his video and get him a California Rescue before he dies or is killed!!! Can someone rescue him? I'll adopt, but cant get to the shelter. I'm in LA. Do you mean L.A. Los Angeles or LA Louisiana?